We provide quality programs that empower and uplift Atlanta's inner city youth. Free for children enrolled in K-12 , focused on academic success, and the development of life skills. Integrate God's teachings of growth, trust, and openness through team activities. Campers make friends, gain self-confidence, and encounter God working in their lives. 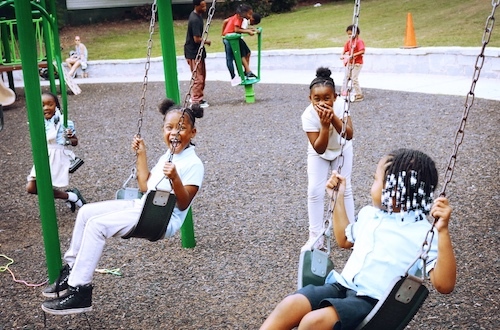 Invest in life-changing experiences for Atlanta's at-risk youth. Learn more about our ongoing initiatives. Once a month, teens come together to connect and discuss issues that affect their lives. Young adults learn positive work ethic and responsibility through our #YouthMovingForward program.